Newlite offers a high quality range of aluminium bifolding doors that will open up in a number of ways and provide the seamless transition between your inside and outside spaces. Aluminium bifolding doors are the ideal choice if you are looking for a high performance, ultra-slim and strong door. 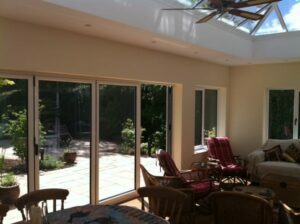 Bifolding Doors from the local experts. We offer a choice of aluminium bifolding doors to meet the requirements of customers looking for a high quality affordable bifolding door as well as our premium product for the customer looking for the very best. 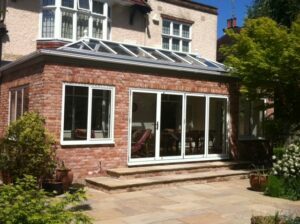 We are passionate about offering what we consider to be two of the very best aluminium bifolding doors you can but. Whatever you choose has its own unique features but all are guaranteed to look good, perform faultlessly and enhance your home for many years to come. The AluK bifolding door is affordable, attractive and manufactured to exacting standards. It is a slim and versatile door ideal for any type of home. Innovative T-handle for ease of use. High security, thermal efficiency and a choice of bifolding door styles. Doors are all certified under’Secured by Design’ for maximum security. The Schuco Sliding Folding Door is regarded by architects, professional designers and discerning customers as the ultimate bifolding door. 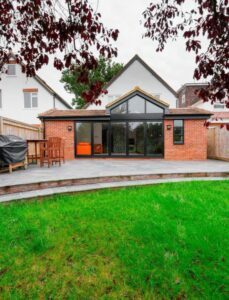 Benefitting from the very best in design, engineering and quality, it is one of the very best aluminium bifolding doors you can buy. An individual and highly desirable bifolding door. Let Newlite help you choose the right bifolding door. Newlite has many years experience in the supply and installation of quality bifolding doors. Whatever product you choose you will enjoy stylish open plan living, outstanding views and much more. Our Aluminium bifolding doors can open in or out, stack to the left or the right as well as the left and right. No matter what type of property or design you have we can help you choose a door that will be functional and right for you. Colour choices for an individual bifolding door. One of the advantages of aluminium bifolding doors is the huge choice of colours available. Utilising sophisticated powder coating technology, we can help you choose the right colour from over 200 possible colour combinations. You can also decide on satin, matt or gloss finishes as well as different colours inside and out. If you desire the ultimate in contemporary shades we can also offer metallic, anodised and other specialist finishes guaranteed to add the wow factor to your new bifolding doors. All our bifolding doors benefit from the very latest in multipoint locking technology with advanced hardware and peace of mind. You can also choose from a range of modern glass units that will add comfort and enjoyment. Our doors can accept double glazed high specification units or even triple glazing if desired. You can also further enhance your doors with our range of integral glass blinds that are situated between the glass for enhanced levels of control and enjoyment. Aluminium bifolding doors installed with expertise. 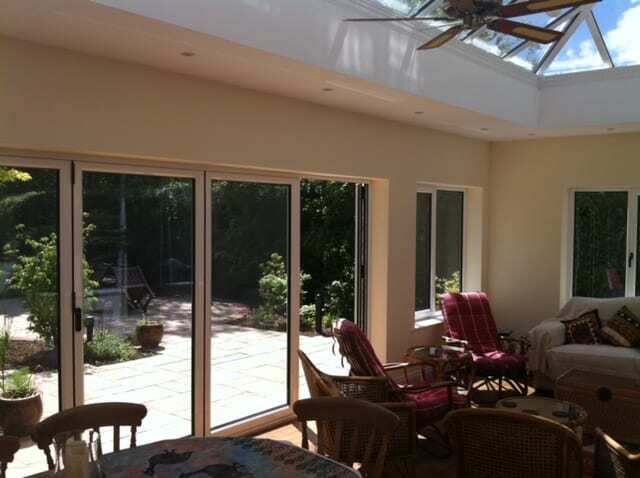 The long-term enjoyment of bifolding doors depends on a top quality installation. 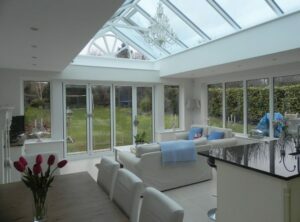 Newlite has been fitting bifolding doors in a choice of materials to local homes for many years. We will deliver you a product of exceptional quality and installed by experienced professionals that understand this complex yet a highly desirable product. Contact us to find out more.